The Senate has confirmed the new commander of U.S. Army Pacific. Lt. Gen. Robert Brown on Thursday relinquished command of the Army's Combined Arms Center and Fort Leavenworth, Kansas, just hours after being notified that the Senate had confirmed his promotion to four-star general, according to information released by CAC. Brown, who commanded CAC since February 2014, will pin on his fourth-star and become the new commanding general of U.S. Army Pacific at Fort Shafter, Hawaii, according to CAC. He will succeed Gen. Vincent Brooks, who this week also was confirmed by the Senate. Brooks is slated to lead U.S. Forces Korea. "While such a compressed timeline between confirmation and departure for a new position is rare, sometimes the needs of the Army dictate a swift move," said Scott Gibson, a spokesman for CAC, in a statement. "This is an example of how our soldiers, from private to general, go where they are needed when called upon." 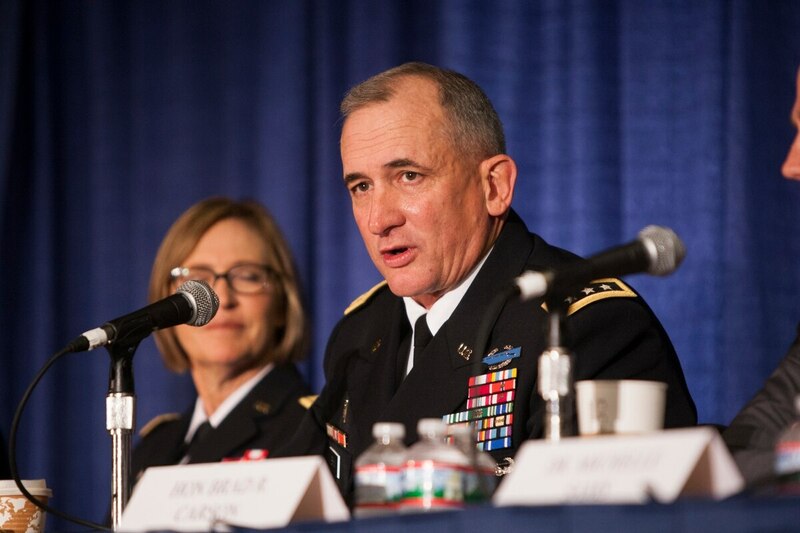 As the commander of the Combined Arms Center, Brown led the Army's efforts in leader development and education. During his tenure, Brown managed the creation of Army University, which aligns the Army's education system and offers soldiers college credit and certification for their service, and was a key player in the creation of the Army's Sexual Harassment/Assault Response Program (SHARP) Academy. Brown has experience in the Pacific, having served as deputy commanding general for support in the Hawaii-based 25th Infantry Division; as executive assistant in Pacific Command's training and exercises directorate; as a USARPAC plans officer; and in the 25th Infantry Division's operations (G-3) directorate. Before taking command of CAC, Brown was the commanding general of I Corps at Joint Base Lewis-McChord, Washington, which is a key component of USARPAC's training and theater security cooperation efforts in the Pacific. Brown also commanded the Maneuver Center of Excellence at Fort Benning, Georgia, and has served as chief of staff for U.S. Army Europe. A West Point basketball player, Brown was commissioned as an infantry officer in 1981. He has deployed to Bosnia and led a Stryker brigade in Iraq. He also served in Operation Uphold Democracy in Haiti and has at least one additional Iraq under his belt.